Bajrang Engineering was incepted as a prime manufacturing and wholesaling unit for Foundry Equipment and Machinery in the year 2006. Our expertise is in manufacturing of products including Knockout Machine, Pneumatic Sand Transporter, Heat Treatment Furnace, Ladle Preheater etc. We have always strived to provide for our clients in a systematic manner with customized solutions to achieve desired results as per their specific needs. Our products are constructed using intricate procedures and state of the art technology in a systematically organized fashion to attain desired results. Each product that we manufacturing consists of high quality metals and alloys that display the properties of thermal resistance, strength and sturdiness. We take immense pleasure in providing our clients with unmatched services and make excruciating efforts to retain our valuable list of clients throughout our existence as an organization. We have developed our organization within industrially rich grounds, wherein all our departments function in unison with one another to achieve unyielding results with perfection. Each department performs tasks as per departmental specialization and ensures continued excellence in all our services. Our manufacturing division has been equipped with modern machinery and high tech tools to aide in the impeccable manufacturing of our sturdy products. Further in the quality control department, we test and stamp each product for functionality and quality after performing various tests based on industrial paradigms. Our warehousing division stores all the final products as per the batch number, dimensions and other specifications to ensure easy access for shipping purposes. We make use of our indisputable transportation services to ship our products to our clients within timely delivery periods, enabling us to serve reputed clients including Apex Alloy Steel Pvt. Ltd., Shaifali Steels Limited and Baroda High Tech Alloy Pvt. Ltd.
Our expertise in our field of manufacturing is attributed to the unyielding dedication and guidance of Mr. Jasubhai Patel, our CEO. Under his mentor ship, we strive to attain fruitful business relationships which are supported by trust and development. We have employed a team of dedicated employees who use their wide knowledge base and industrial experience to ensure unmatched regularity in quality. Each individual within the organization has been tasked specific roles and responsibilities under a direct chain of command to ascertain a communicative working environment. Our research and development team uses innovative approaches and ideate on new procedures to continually help in upgrade our production expertise. Anand Engineering & Metal Casting Pvt. 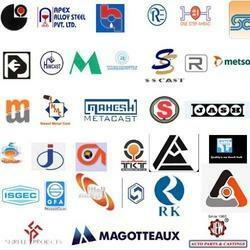 Ltd.
We have been established in the industry for a decade. Our services have gained recognition across industrial domains for our genuine persistence on excellence. All our clients are dealt with in a personalized manner, ensuring a stand on utmost dedication towards exceptional delivery. We have maintained good business relationships through perseverance and hard work and strive to achieve more such bonds through dedicated efforts. BAJRANG ENGINEERING started its operation in Ahmedabad, (Gujarat, India), from the year 2006, We “BAJRANG ENGINEERING” are one of the leading manufacturer and supplier of a superior quality range for different process to manufacture casting such as CO2 (Sodium Silicate), No-Bake, Lost Foam, Green Sand & Centrifugal etc. In addition, we also offer Batch mixer (Bowl Mixer), Single Arm Type Auto Continuous Moulding Mixer, Articulated Arm Type Auto Continuous Moulding Mixer, Mechanical Attrition for No-bake & CO2, Sand Siever, Heat Treatment Furnace, Ladle Pre-Heater, Ladle, Flood Coating, Pneumatic Sand Conveyor, Knock-out(Shake-out) & Many others foundry auxiliary Equipment. Under the expert solution of our mentor “Mr. JASUBHAI PATEL”, we have managed to gain prominence in the industry. He is a man of principle and inspire us to follow ethical policies in our business operation. Our products are highly appreciated for features like reliable performance, longer life, trouble free operations and high pressure & temperature tolerance. These products are manufactured using quality-assured steel and other materials that are procured from certified vendors after market survey. Maintaining a standard quality in our product range is our foremost priority. Therefore, we have developed a state-of the-art quality testing facility with us. This facility is managed by experienced quality analyst, who makes sure that set quality standards are maintained at every stage of our operation. Furthermore, we manufacturer our products from raw material which we procure from most trusted vendors in the industry, who are recognized for supplying high quality material. Moreover, we conduct stringent tests on our entire range to ensure that our products are in compliance with international quality standards. Being a customer based firm, we pay high attention towards maximizing the satisfaction level of our clients. We have a team of highly qualified and experienced mechanical engineers as well as technician who aid us in manufacturing machine as per specific market demands. Once machine are manufactured, these are made undergo stringent quality checks at our advanced quality control unit. Infrastructure facility of our firm aids in maintaining efficient and streamlined business operations. We have a well-equipped R&D unit at our firm, which functions under the strict supervision of a chief research professional and enables us to consistently offer an upgraded range of machines. Furthermore, to ease out the tedious process of monetary transactions, we accept payments via various easy modes. We have developed a sound infrastructure within our organizational premise, which has aided us in the continuous manufacture of exceptional goods throughout our existence as an industry. Our manufacturing department is an installation of modern marvel, equipped with all the latest machinery and tools required for our work. We store all our products in our state of the art warehousing division, from where all the shipping procedures are carried out for rapid delivery services.